AdASSURANCE™ Advertisement Vetting Services (AVS) gives attorneys and other legal professionals the ADDED ASSURANCE of knowing that their traditional and online advertisements are in compliance with Ohio’s ethical guidelines. 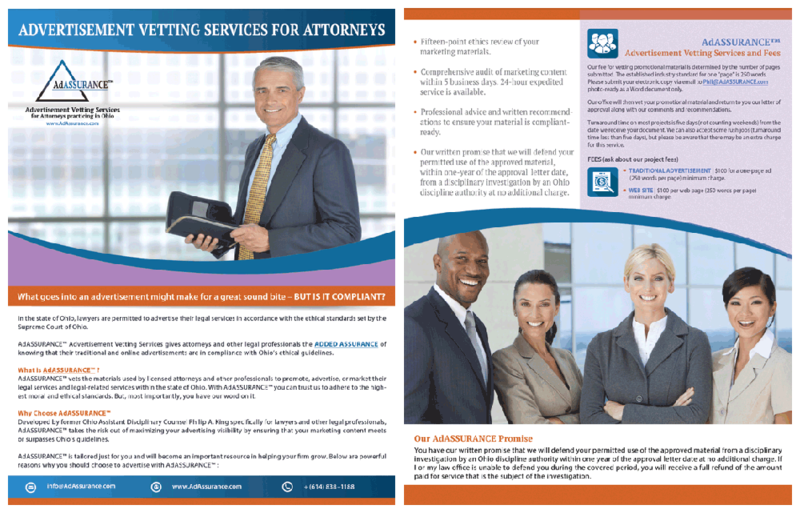 AdASSURANCE™ vets the materials used by licensed attorneys and other professionals to promote, advertise, or market their legal services and legal-related services within the state of Ohio. With AdASSURANCE™ you can trust us to adhere to the highest moral and ethical standards. Developed by former Ohio Assistant Disciplinary Counsel Philip A. King specifically for lawyers and other legal professionals, AdASSURANCE™ takes the risk out of maximizing your advertising visibility by ensuring that your marketing content meets or surpasses Ohio’s guidelines. 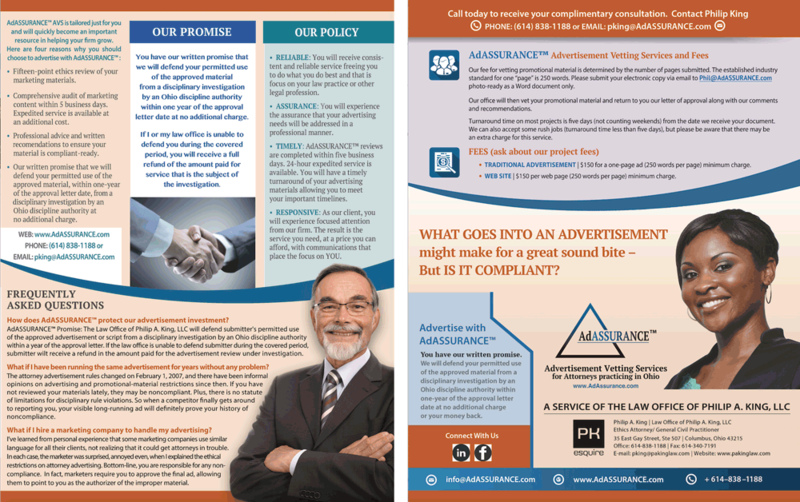 Corporate Branding promoting AdASSURANCE™, a new service for attorneys, offered by the Law Office Of Philip A. King, LLC. Corporate Stationery (Letterhead and Envelopes) were developed. 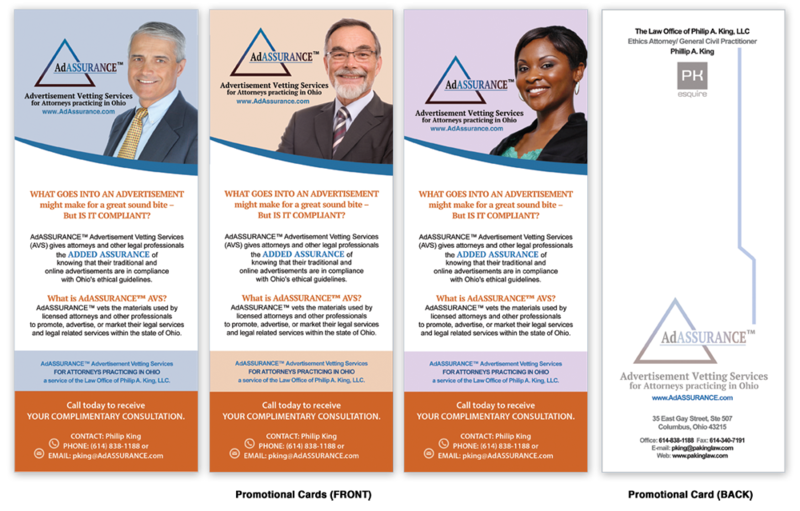 Promotional Cards were created to be delivered to a diverse, professional public. 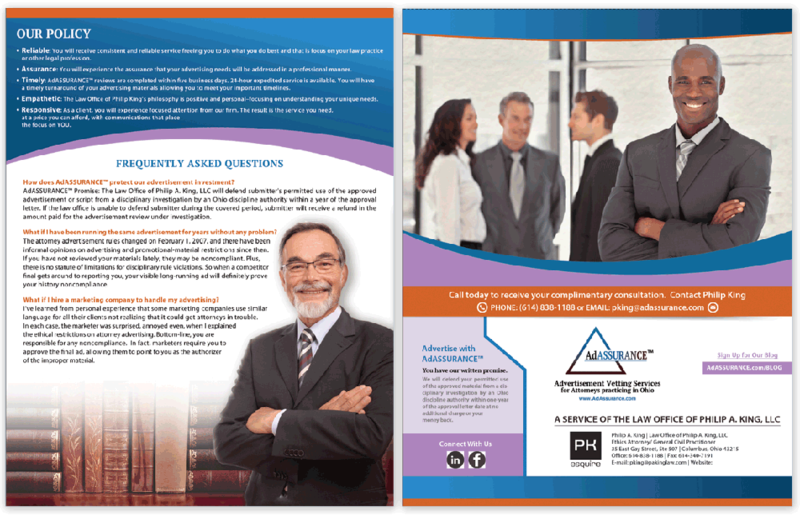 A Flyer to be used for both print and web, was produced. 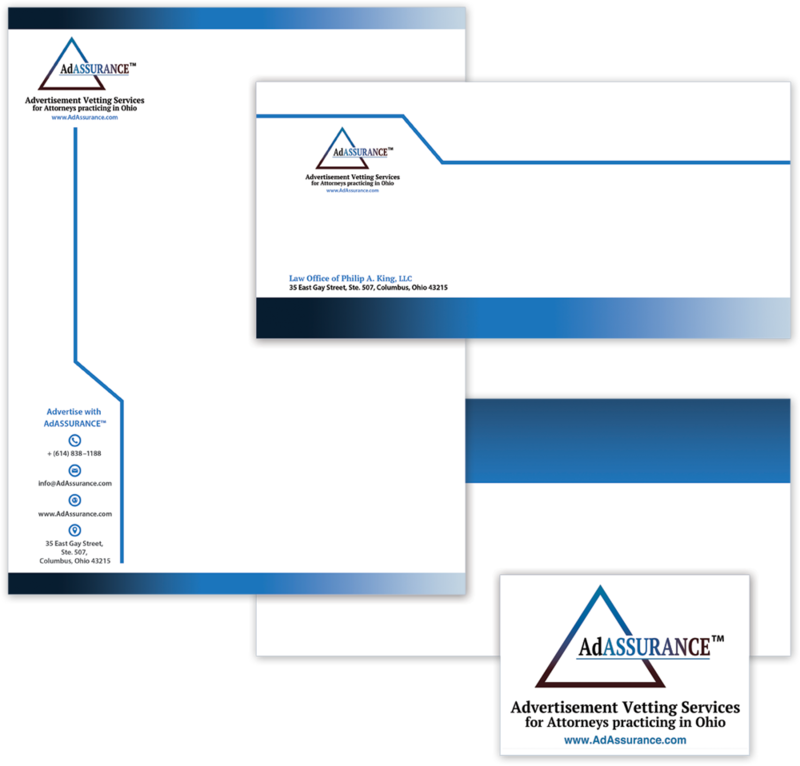 AdASSURANCE™ LOGO (Design options with client choice).